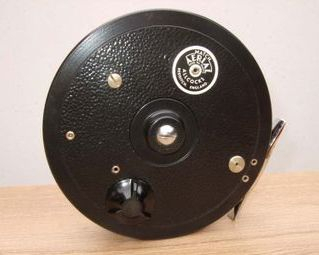 Rare Allcock Aerial Model 7950-T6 3" Diameter Centrepin reel - This reel is in superb condition having seen very little use, complete with original leather case. Rare Allcock "Mahseer Aerial" 4 1/2" Diameter Centrepin Reel Model 7981 LT - Reel is in good used condition with a small amount of corrosion on the backplate, I have owned this reel for around 10 years and have landed Carp to 18lb.+ with it. 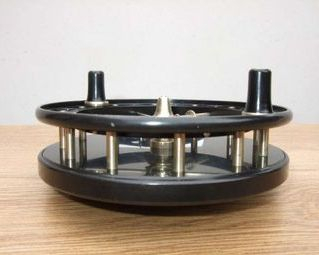 Allcock Aerial Popular 3" Diameter Centrepin Reel - Reel is in good used condition, runs well with no wobble. 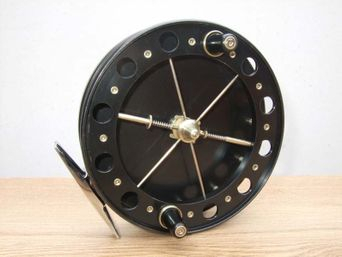 Hardy Eureka 3 1/2" Diameter Centrepin Reel - Reel is in excellent condition with most of the original finish intact. 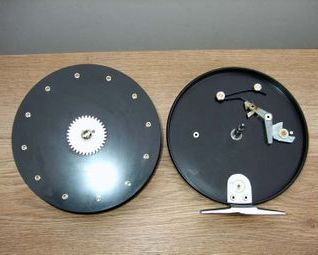 W R Products Speedia 4" Diameter Narrow Drum Centrepin Reel - Reel is unused in original box. 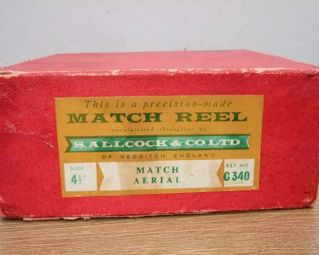 Allcock Match Arial 4 1/2" Narrow Drum Centrepin Reel - This reel is in excellent condition with 99% of the original finish intact and appears to be unused. 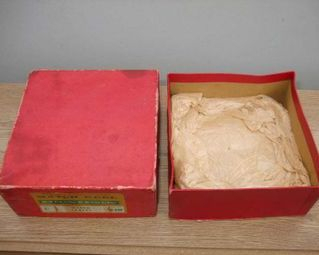 Complete with original box and tissue paper.